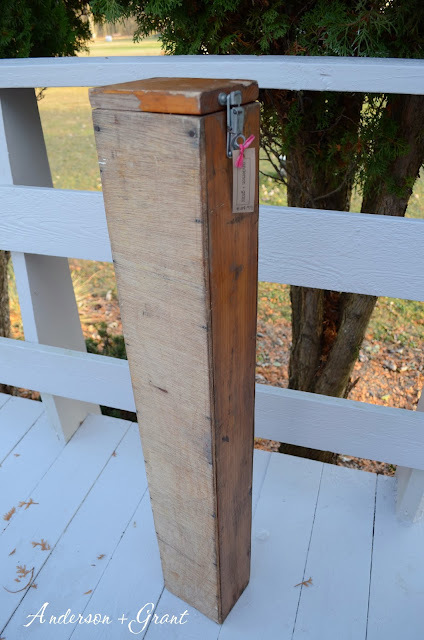 At a yard sale over the summer, I purchased a tall wooden box that has a latch. I'm not sure exactly what the box's original purpose was but I bought it figuring that I would figure out what to do with it later. Since it was so skinny, I decided it would work well to turn the box on it's side and paint it like a sign. So this is the before shot of my box....Well, actually, it is the side of the box that I didn't paint because I forgot to take a before shot! Anyone know what this might have been in its previous life? The front of the box was painted in antique white before being sanded and distressed. Then Merry Christmas and some holly leaves and berries were traced on from a sketch I drew. 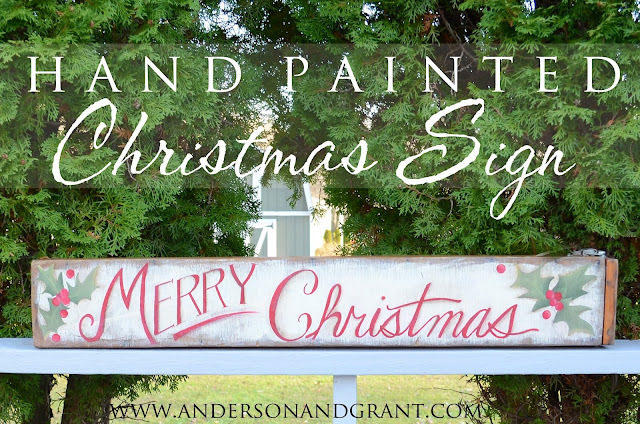 Merry Christmas was painted in Tuscan Red (from Americana). The holly leaves were painted in three different green shades (Light Avocado, Avocado, and Celery Green) and a yellow shade (Camel). 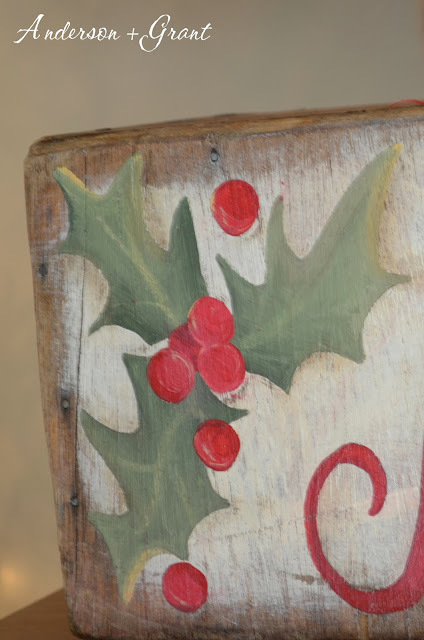 The holly berries were painted in Tuscan Red and highlighted with Camel. I'd love to be able to share with you how I painted this, but as I've mentioned in the past, I really just layer on my paints and highlight and shadow all at once. Creating something like this involves doing whatever you are comfortable with. After the paint was dry, I lightly dampened the front of the box and shaded around everything with a dark brown colored pencil and blended the color in with my finger. The shading is a little hard to see on this picture taken outside, but you can shade as much or as little as you'd like. The shading really makes the writing and picture stand out on a piece like this, though. 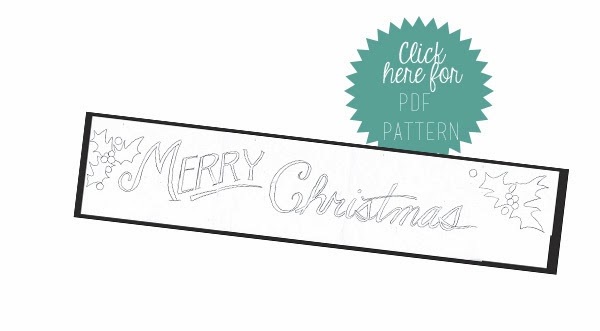 If you'd like to paint a sign like this yourself, I'm including the image of my sketch (right click on the picture and save it to your computer), as well as a PDF pattern. The idea could be painted on just about anything of any size. One thing that I love about how this piece turned out is that it works not only as a sign, but also as a display "shelf," too. I think it would look great with a line of candles and some greenery on top.